Many special events are coming up just in time for the holidays, including the tower lighting on Friday, December 1st at 6:00 pm! Plan your visit now! Thanksgiving wishes from The Brannan! 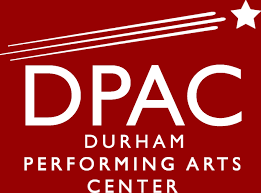 Durham Performance Arts Center (DPAC) is a perfect destination for holiday shows! And consider event tickets for gift giving! Located in Downtown Durham, DPAC offers live entertainment experiences unlike any other you’ll find in the region. NC Comicon is this weekend, November 10-12 at Durham Convention Center! To learn more, visit http://nccomicon.com/bull-city/. Come out to celebrate comic book pop culture! Visit the World Beer Festival this weekend at Durham Bulls Athletic Park! Click here to learn more. Resolute Construction is hard at work on all seven floors. The last layer of concrete for the garage was poured this past week. Final stucco work on the exterior of the building is being installed, and brick pavers at the sidewalk will finish this week. Electric meters and gas meters for all condominiums have now been set. The corridor millwork and trim will start this week on the lower floors. Good progress is being made. Tuesday, September 26th and Thursday, September 28th the construction team will be doing punch out tours for the 2nd and 3rd floors. Please confirm with Molly your scheduled time if you haven’t already done so. Tuesday, October 3rd and Thursday, October 5th will be floors 4 and 5. Tuesday, October 10th and Thursday, October 12th will be floors 6 and 7. As a reminder to those using a lender, we are within 6 to 8 weeks of your closing date. It’s exciting to be closing in on moving day. On a lighter note, we hope you will consider joining us on October 1st to support Durham Central Park, your new neighbor. This event helps to pay for maintenance of the garden that adjoins The Brannan. 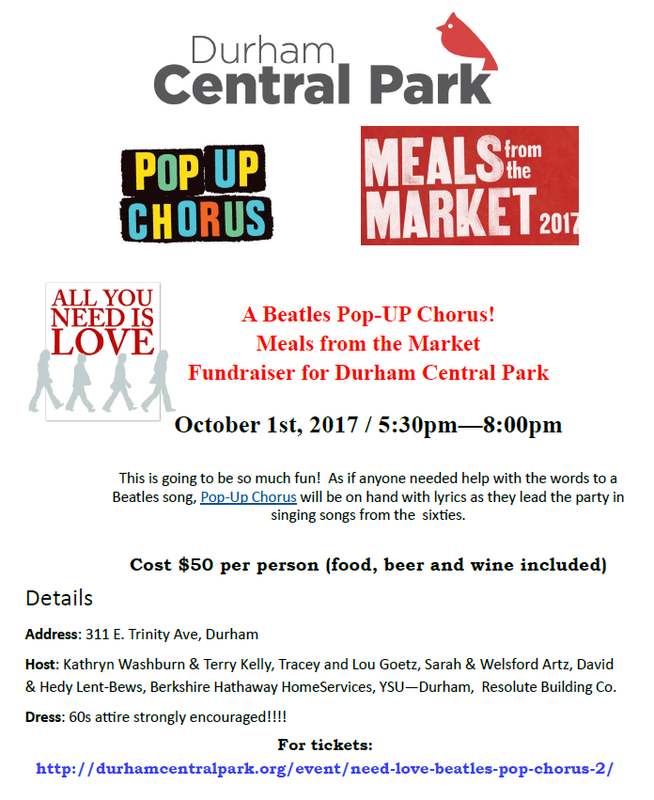 For more information check out this link http://durhamcentralpark.org/event/need-love-beatles-pop-chorus-2/ and look for “All You Need is Love” or call Erin Kaufman at 919-794-8194. What a great opportunity to support the Meals from the Market and to help improve the garden overlooking The Brannan. Hope you will join us for all the fun! The Durham Craft Market is open on Saturdays at Durham Central Park. Enjoy this weekly, open-air market displaying one-of-a-kind, handmade, local arts and crafts. Celebrate the uniqueness of craft and be part of the flourishing Durham arts and crafts scene. With construction nearing completion, allow us to introduce The Brannan’s preferred closing attorney, Lauren Nance with Bagwell Holt Smith PA. Closings with Lauren can take place in The Brannan Sales Center. If closing on your home is more convenient in Raleigh, The Brannan recommends Paula Murray with Ragsdale Liggett. Both firms offer preferred rates to Brannan customers.